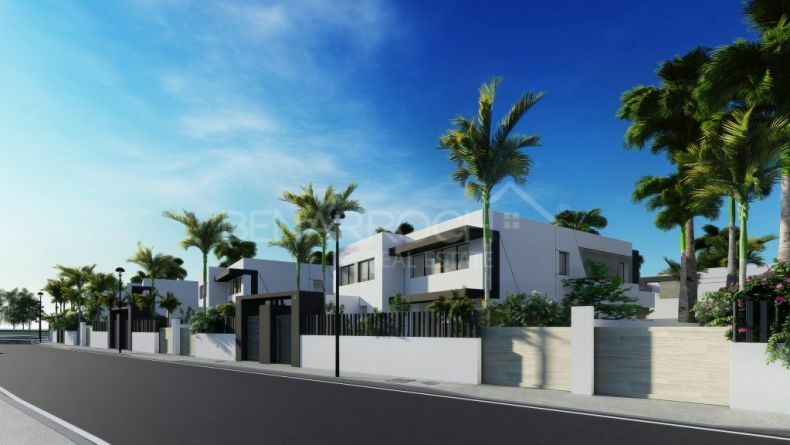 The area surrounding La Resina golf course, in Estepona, is an area of incipient development and good proof of this is the new project we present you, Oasis 22 modern style semi-detached in the New Golden Mile of Estepona. 10 minutes from Estepona and 20 minutes from Puerto Banus, La Resina is an area on Estepona’s New Golden Mile that offers beach and golf just minutes away. La Resina Golf Club is a 9-hole course designed by Craig Cooke and Bradley Smith in 2005, carefully maintained and conserved and includes practice, putting and pitching green facilities. There is also a Spanish-style clubhouse with a bar. Just a few minutes away we also find other golf courses such as Los Flamingos Golf, El Paraiso Golf, Atalaya Golf and Country Club and Real Club de Golf Guadalmina. The area is a few minutes from the beach with beach bars where you can taste typical Mediterranean dishes. 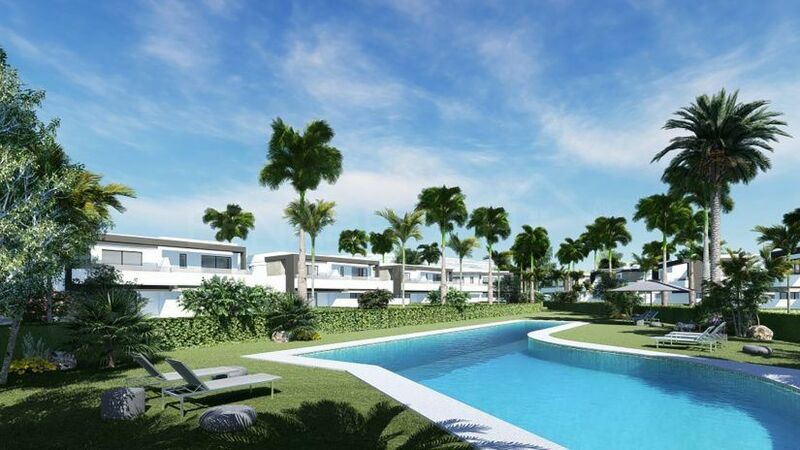 Oasis 22 in la Resina de Estepona, situated between the golf course and the beach, is a new off-plan project comprising 22 semi-detached houses in a gated community with a central communal area with a swimming pool and gardens. The homes, with an elegant modern design, have approximately 160 square meters built, with terraces between 40 and 82 square meters, developed on two floors on plots of 255 to 516 square meters and with the option of choosing between 3 or 4 bedrooms and basement where to locate a cinema room, games room or gym, thus customizing the home according to your preferences. The main floor of the dwellings consists of an entrance hall, kitchen open to a large living-dining room with access to a large covered terrace, a room that can be used as an office or additional bedroom and bathroom. The upper floor has an en-suite master bedroom with dressing room and access to a large terrace and two more bedrooms sharing a complete bathroom. The houses of Oasis 22 will have a fully equipped kitchen, large windows from floor to ceiling that provide a great luminosity to the rooms, air conditioning cold – heat and pre-installation of domotic system. In its exterior zone they will have private parking with capacity for two cars. From our office located in the Centro Comercial El Pilar, just ten minutes from this new boutique project, Benarroch Real Estate invites you to visit us for, in a personal way, inform you about the characteristics and availability of Oasis22 in the New Golden Mile of Estepona.